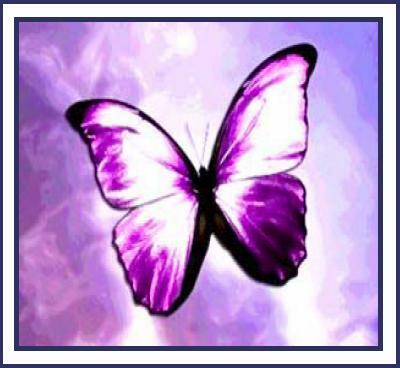 The Women’s Center at LPTS will continue to seek nominations for the 2011 Butterfly Award through September 1, 2011. The Butterfly Award is an annual award given to recognize an individual in the Louisville-Jefferson metropolitan area “for advocacy and activism in working for transgender concerns, specifically justice and equality.” A recipient of the award must be a resident of the Louisville-Jefferson metropolitan area, and active in transgender advocacy, activism, or both in concert with a community organization. The award is presented following the community observance of the Transgender Day of Remembrance on November 20. The Butterfly Award celebrates gifts and achievements that are often ignored by the larger community, and brings visibility and recognition to work on behalf of a community that is frequently marginalized in public discourse. Transgender persons struggle daily with a particularly complex set of issues that stem from cultural norms around gender, structures of privilege and power built on masculinity and femininity, and widespread ignorance and prejudice about transgender specifically. Nominations should be made in writing, and should include: the nominee’s name and contact information, the nominator’s name and contact information, and a narrative description of the nominee’s work on behalf of the transgender community that merits consideration for the award. Nominations should be sent to: The Butterfly Award, c/o the Women’s Center at LPTS, 1044 Alta Vista Rd., Louisville, KY 40205. Please feel free to contact the Women’s Center at (502) 894-2285 or Heather Thiessen, Director, at (502) 992-9376 for additional information. The Women’s Center continues to accept with gratitude contributions to the Women’s Center made during our Summer Donation Days! If you don’t know “intersex” from “cross-dressing,” or more importantly, what it could possibly have to do with preparing a Wednesday night Bible study, then the upcoming Transgender 101 workshop (Thursday, 12:30, Winn Center-McAtee A) is for you! Beth Harrison-Prado, local transgender educator and activist, will lead attendees through a condensed introduction to basic tems, concepts, and facts about transgender. In the process, she will address some of the silence around transgender, dispel some of the myths (for example, that transgender is a fancy word for being gay or lesbian), and make more clear why knowing about transgender matters for someone preparing a Wednesday night Bible study, whether that person is or is not her/himself transgender. You may be the only person in a position to dispel a myth that surfaces in conversation — whether the Wednesday night Bible study or elsewhere — and will want to have the information to do it. Transfolk are always someone’s children, grandchildren, siblings, cousins, aunts, uncles, parents, . . . so are probably already members of your church family. You will probably want to know at least as much about transgender and transgender concerns as the other parents, grandparents, siblings, cousins, nieces, nephews, children . . .
Transfolk are children of God . . . so are definitely already members of that family. Transfolk are often people of faith, and for that reason may find their way to the door of a congregation you lead or belong to, if they haven’t already. Transgender is often silent; you may not get a second chance to let someone know you do want to be their neighbor and friend. The presentation is brown-bag, but otherwise free and open to the public. Sponsors (More Light, Gender & Minstry Committee, and the Women’s Center) hope to see many colleagues there! I have read that in the middle ages in Europe, people actually persecuted cats. [One source: The History of Human-Animal Interaction – The Medieval Period] There was, so I have also read, a religious argument for this cruelty: “cats are the only domestic animal not mentioned in the Bible.” And since cats weren’t mentioned in the Bible, this was taken as evidence that God didn’t care about them, that their lives were not blessed. From here, it was a short step to add fear and suspicion of cats to ideas that they were outside the boundaries of God’s real concern to produce conviction that persecution was permissible. The argument depends on the logical fallacy of “negative proof.” That fallacy draws the conclusion that, if there is no proof for a particular position, then it counts as proof against the position. People still use this reasoning, if we can call it that, in relation to human lives they find disturbing. Someone once explained to me, fully seriously, that the presence of the Song of Songs in the Bible proves that God disapproves of homosexual relationships. Because the Song of Songs is a text that extols heterosexual physical love. And there is no counterpart Song of Songs for non-heterosexual relationships. So. “Negative proof” is also the underlying structure of some responses to transgender lives. The word transgender does not occur in the Bible. And that is enough evidence, for some, that transgender lives don’t count for God, don’t need to count for their neighbors, and don’t qualify for the same care and protection demanded by all other human lives. Of course, there’s plenty of positive evidence in the Bible that God cares for every member of humankind — including “the eunuchs” (Is. 56:4) and “the barren” (Is. 54:1), sexual categories that provoke less political discussion these days than in 3rd Isaiah’s time. The God who notices when sparrows fall to earth and who numbers the hairs of our heads (Matt. 10:29-31) clearly sets a high value on all kinds of lives. The Bible has a lot to say about “the least.” The evidence there points in the direction of our obligation to take special care and give special protection to those lives, the lives of “the least,” that are most likely to be disregarded and trampled in the life of business-as-usual. The LPTS observance of the Transgender Day of Remembrance on Thursday, November 20, is one way we align ourselves with that positive proof, and affirm that the Bible does, indeed, mention transgender lives — for instance, when it tells the people of God they shall “love your neighbor as yourself” (Lev. 19:18). Last week, Nakhia Williams, of the Louisville transgender community, died in the hospital, of wounds she received from a shooting on August 20. Wimminwise is currently seeking more information about the memorial fund being raised to assist Nakhia’s family with expenses. Our hearts and prayers go out to Nakhia’s family, friends, and loved ones. We pray especially for an end to violence against difference.